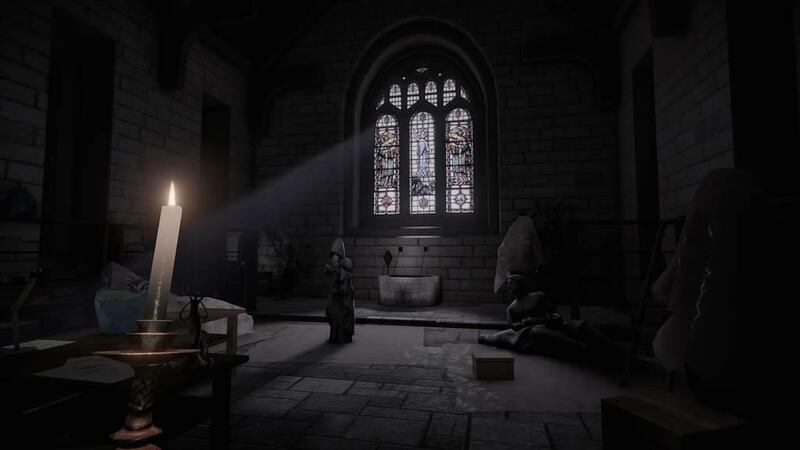 Don’t Knock Twice, a horror title developed and published by Wales Interactive, is a game you’ve probably played, or more likely seen, before. Whether from the YouTuber Markiplier’s countless playthroughs of various online horror video games packed with cheap jump scares, or even walking simulators like Gone Home. Don’t Knock Twice is a somewhat bigger budget, kind of scarier version or amalgamation of these. 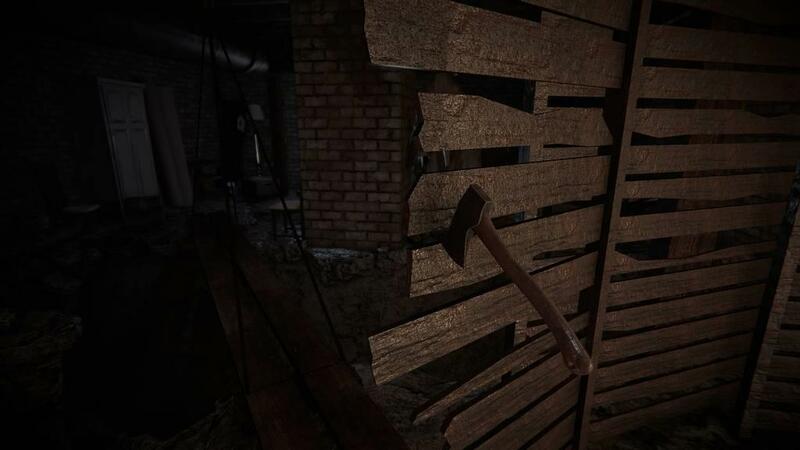 If it weren’t for some of the puzzles that add a much-needed energy to the mix, the game would have fallen apart outside the first hour of play. 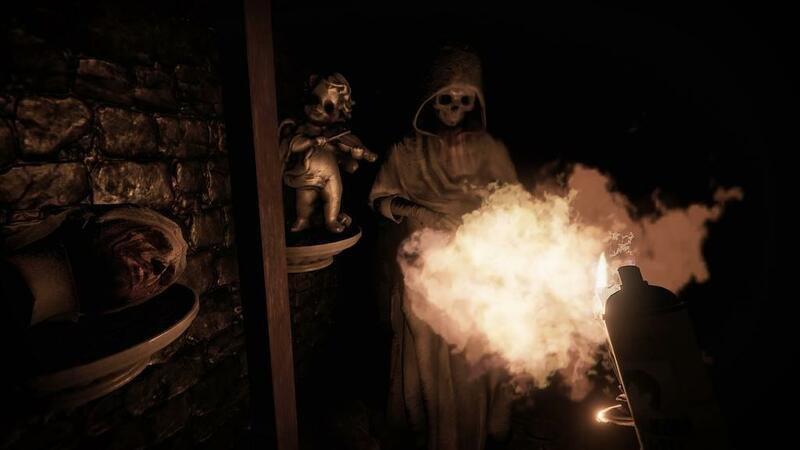 Don’t Knock Twice tells the story of mother and daughter duo Jessica and Chloe, with the player controlling the former. Through various lore entries the player finds, they soon discover the underlying relationship that threads through the secondary tension of the game. I won’t spoil too much, but let’s just say that it is only halfway cliché. But for the sake of critique I must discuss it, at least in an abstract form. Part of the crux of Jessica’s character is that she is in a recovery, of sorts. Obviously, this adds a needed layer to the character and gives them obstacles that they must jump over. But that begs the question: how does the game accommodate that? In short, not well enough. As stated earlier, the game provides information about the family history in various ways, predominantly in letters and text messages. While this has been done before, it’s a great way to give the player agency in uncovering information on their own. But the failing part of that discovery is that the player can do nothing except play the game with the tools that have been given to them, which consist of walking, and grabbing things. Recall that one of the ways the player receives information is via text message. 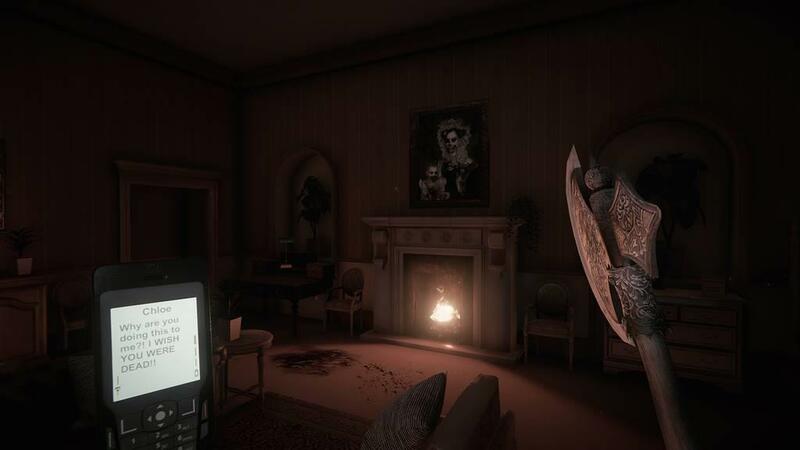 It’s revealed early in the game that the phone is an object of significance, because it is the only way that Chloe can communicate to the player. As I was playing however, I kept wondering why I couldn’t text back. Wouldn’t that be a unique twist on the horror genre that the game is playing around in? The only answer to this is no. Instead, the game communicates visually where the player needs to go physically, and this is where the puzzles come in. The game takes place in an egregiously huge house that it makes no sense for one person to be living in, but c’est la vie. Chloe texts the player (I repeat “player” because I don’t think Jessica as a character exists outside of letters and diary entries (that is to say, she is simply a vessel for the player to inhabit, which shouldn’t be so in a horror title. Look to Dead Space for more), except for a few moments in gameplay) her location throughout different stages of the plot, and the player must solve puzzles to get to the next location, or retrieve a critical tool. 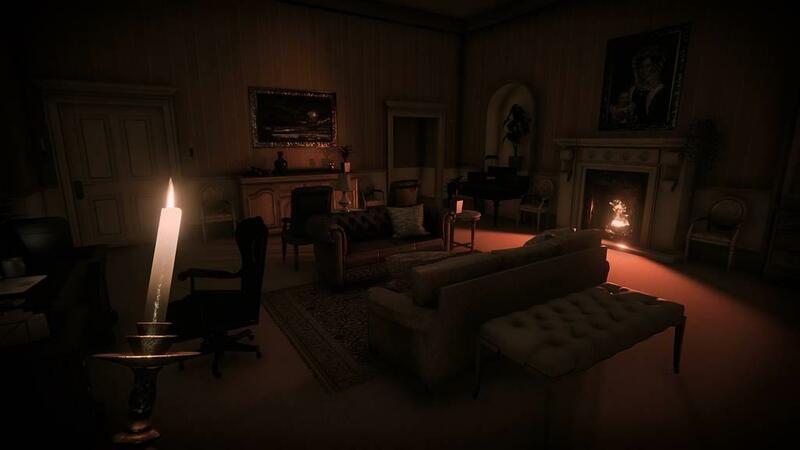 None of the puzzles are hugely complicated, and the most difficult thing I ran into was that sometimes the rooms were a little too dark, and I had to turn up the brightness. 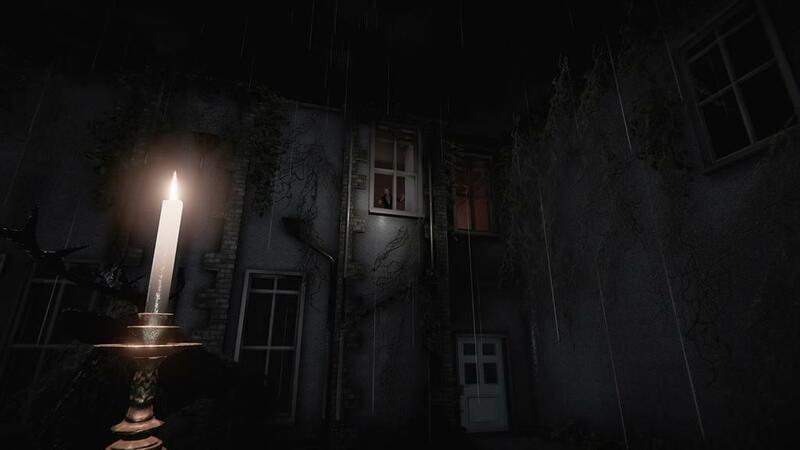 Overall, the puzzles are a tertiary component to what is supposed to be a game whose story is about family troubles filled with an atmosphere of darkness. Speaking of which, the atmosphere of darkness is one of the aspects that this game gets the most right. I will admit, I scare easily. I scare so easily that I jump when I see someone from twenty feet away from me (although usually they’ll be people that I just don’t want to see, so there’s that). Thankfully, the jump scares are few and far between. That doesn’t mean that they’re not in there, of course, but we’ll get into that later. 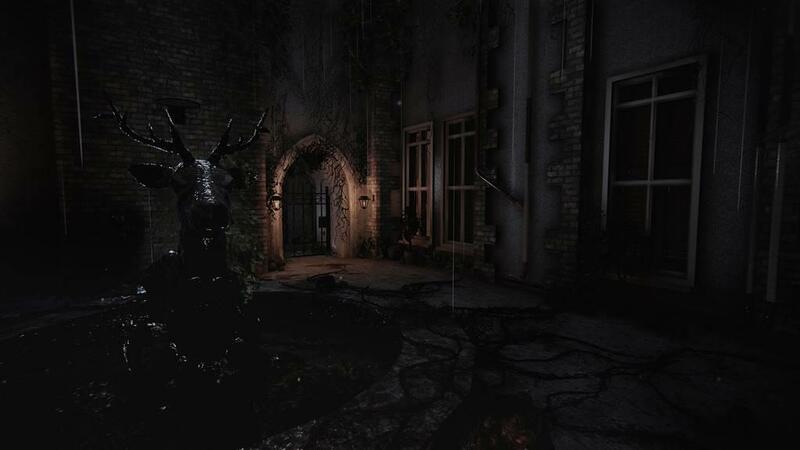 From the very beginning of the game, you are in the dark. You hear the customary sounds of doors creaking and things running inside the walls, but this pales compared to the fear of what could be outside your field of vision. 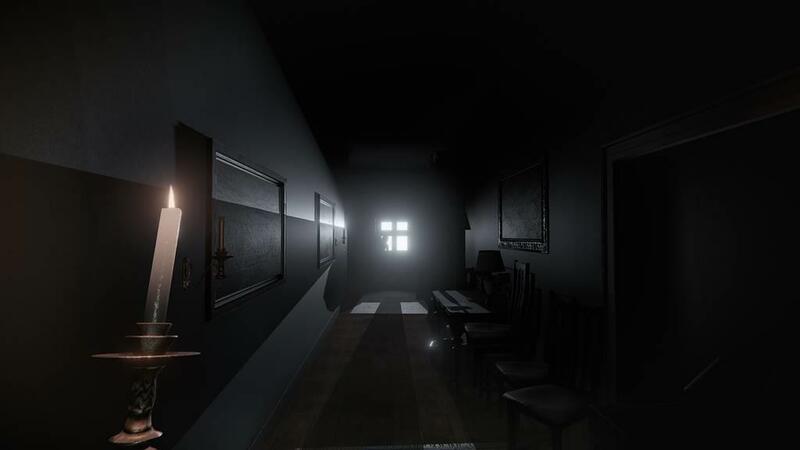 The items in the player’s possession that can literally shed light on their surroundings (heh) include the aforementioned cell phone, which only serves to illuminate itself, and a single candle. 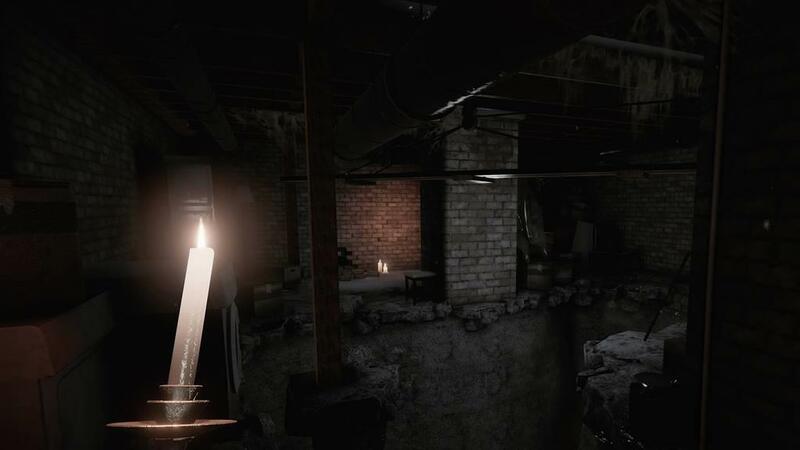 Of course, the power goes out of the house pretty much as soon as you start the game, but luckily, there are a number of convenient candle holders that the player can light to see their way around the house. 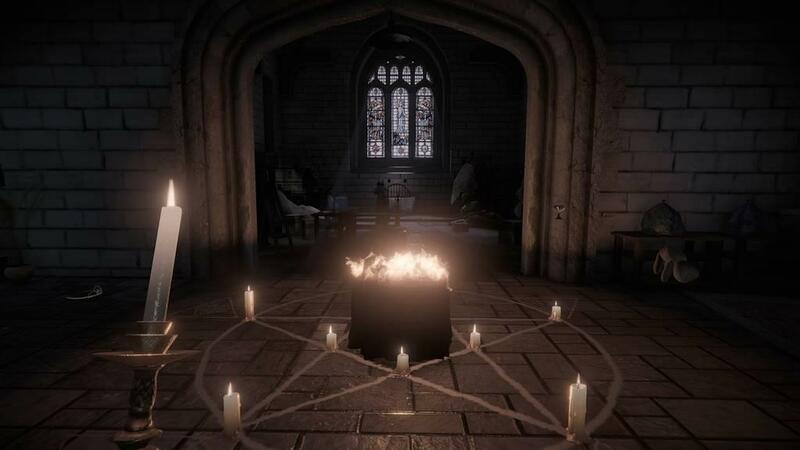 Of course, these candles don’t have the lighting quality of Stanley Kubrick’s Barry Lyndon, but I forgive it for the atmosphere that the designers are creating, and can understand that in some way, I may not be able to see two feet past a flaming candlestick. For the majority of the proceedings, the player is stalking through the halls of the egregiously huge, creaking house. Hiding around corners, shutting doors when you see or hear something big and bad coming, that tension had me from the first minute. But how does that tension boil over? Well, one would imagine that with so many dread-filled moments that have the player sometimes running for fear of what might be behind them, that the phantom pulling the strings would never be revealed. Well, it is. 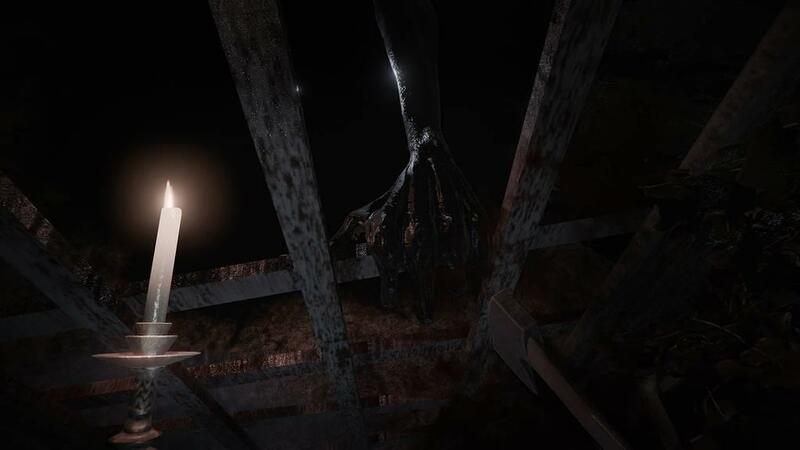 In one fashion, it’s a cheap jump scare that has no consequence, in another, it is through an interactive sequence that I, at least, found hair-raising. The game has you going on adrenaline and gut instinct, and those memories are still with me, even a few days removed. In the end, the game left with me with a mixed impression. The atmosphere it creates is full of dread and tension. When that feeling is combined with urgency of the story (and said urgency is found only in some places), they work magnificently. But the puzzles and item retrievals could be frustrating. Running across the house to get something you need for the side you were just on can add a place for new dread, but it is annoying at best and tediously frustrating at worst. 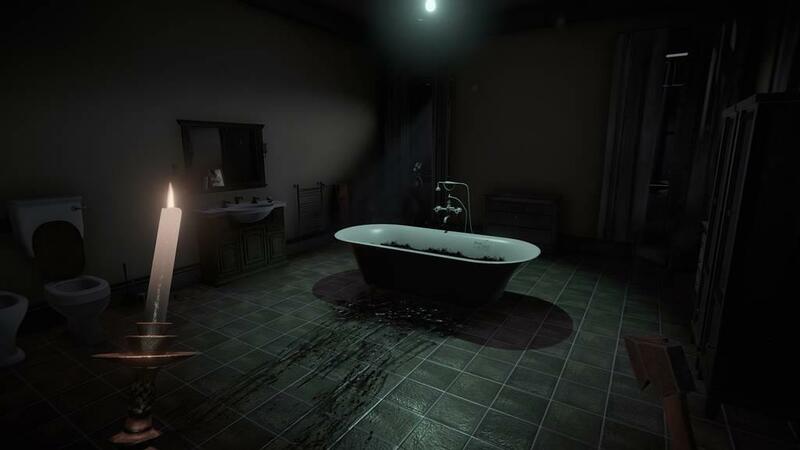 The game achieves the horror, but the emotional weight falls flat. There are ways that the writing and design could have involved me a little bit more with the direness of Jessica’s and Chloe’s situation, but for it to work, the game needs more than just the odd lore entry. That can work for background information, but for the character to have true voice, it needs a little more than just the tension-fueled action. I will say that the ending does involve the player quite a bit in the emotion of the plot, but it does so in a predictable way that deflates some of what they just went through. The game is an achievement that, while stumbling in its execution, leaves the player with a lasting impression in their gut. The atmosphere is what makes this game. The emotion of the plot succeeds in some places and stumbles in others. The puzzles can be frustrating at times, but not because they’re impossible to complete, more so because they seem like filler to extend gameplay time. Overall, the experiences are memorable for the feeling they create in the player, but not much else.